Yesterday I released my newest design, the Backyard Bandits. It's one of my favourite patterns - I feel like I got all the details right, it's fun to knit, and the finished toys have so much personality. It also feels wonderful to be able to share something with you. As much as I enjoyed the contract work I've done this year, it's been hard keeping it all secret. I wrote about the background of the design previously. Now I'll tell you a little about the actual pattern. 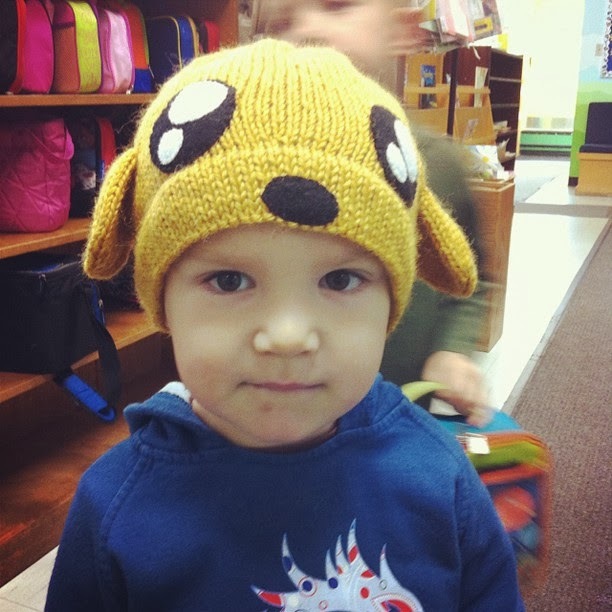 I would rate it intermediate level, mostly because of the intarsia you use to make the faces. While the intarsia is not really difficult, you're also making strategic decreases to shape the face, at the same time. So you need to really focus while knitting it. I've included some close-ups of each animal, so you will have a better idea of how the faces look. 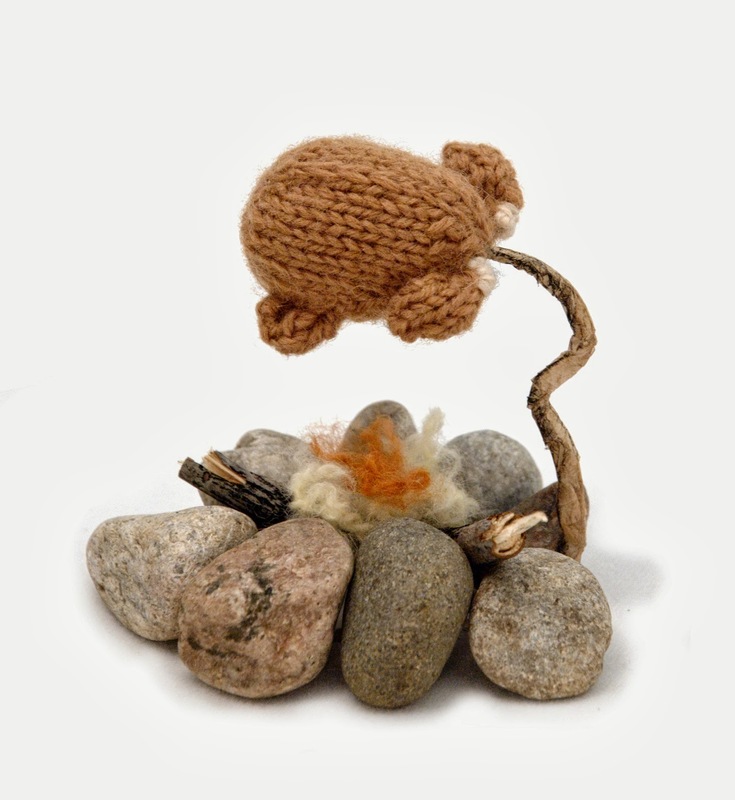 However, the rest of the toy pieces are all fairly simple and quick to knit. 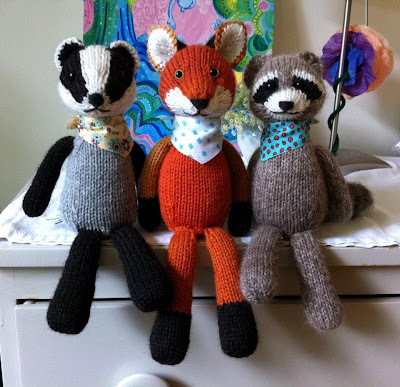 The toys are knit from worsted weight yarn on 4 mm needles. 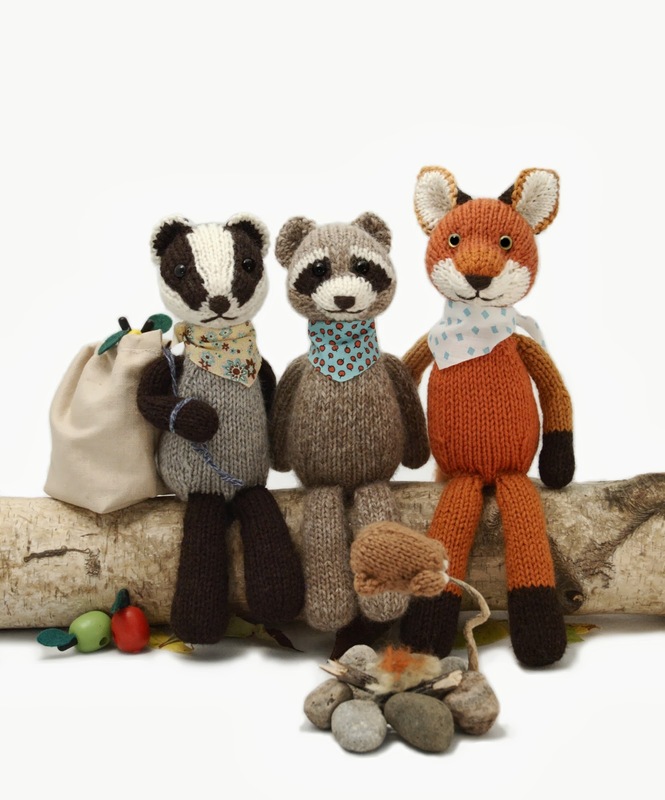 You can use a combination of yarns to get a scrappy rag-doll look, as I've done with the fox. 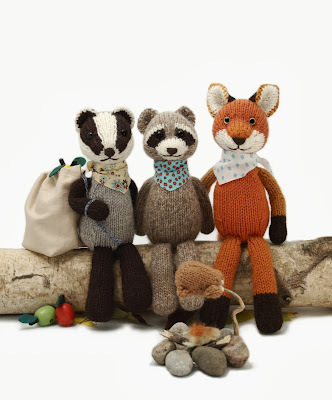 Or you can use a single yarn for the main colour, as I've done with the raccoon and badger. The finished toys are 11-12" tall, not including the ears (the fox is a little taller because his legs are longer). The toys sit well, because of how the body is shaped, and where the legs are attached. You can even put some plastic beads in the body to give it a nice weight. The fox and raccoon both have large, fat tails, which you can brush out to make even fuzzier. 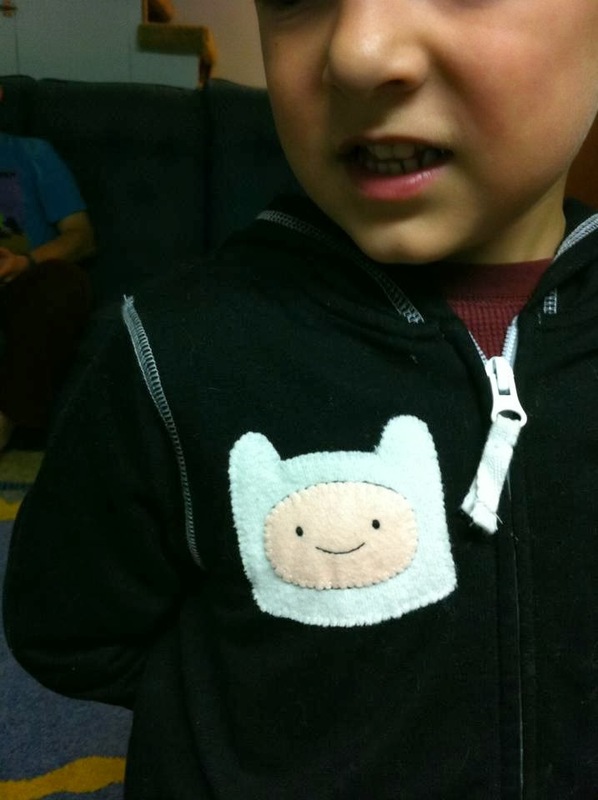 The pattern comes with two little bonuses. First, I've included instructions for a cloth bandanna, which the toys are wearing. It takes about 5 minutes to make, and doesn't require sewing. Second, at the request of my husband, I designed a roasted chicken toy (we recently read Fantastic Mr. Fox to our boys, so this seemed to him like the perfect accessory). The chicken's wings and legs are made with small and large bobbles, but clear instructions for both are included in the abbreviations. I hope you enjoy the pattern, and I look forward to seeing new projects popping up on Ravelry! I thought I would share a little of what went into my newest design, the Backyard Bandits, which will be released later this month. During the mystery knit-along I hosted in the Spring, one of the most common guesses about the animal was a fox. As well, I've many, many requests for a fox over the years. So I decided it was about time I tried to design one. Having a little look around at what was already available, and browsing through images of foxes, I quickly decided that the Scraps Chaps body style would be better suited to a fox than my other toy style. However, since this style of pattern had previously been done as a set of three animals, I needed two more to complete the new set. Among all the animals I've been asked to design, one of the more frequent requests was for a badger. While the American badgers are not cute (to my tastes), a European badger looked like a good addition to the pattern. The third animal took me longer to decide upon. I finally found the winning idea when we borrowed the book "Red Wagon" from the library. I love the illustration style in this book, and the raccoon was so adorable, I knew I had to design one. The body, limbs, and tails of the animals were all quick and simple to design, since I didn't want to deviate too much from the earlier patterns. I knew the heads would be the most challenging part of the pattern, both to design and knit. There was really no getting around the fact they would have to be done with intarsia, making the pattern more challenging than most of my other toys. I started with the fox, thinking it would be the simplest. But in the end, I think this one went through the most variations before I was happy with it (plus, the ears took about 8 tries to get right). 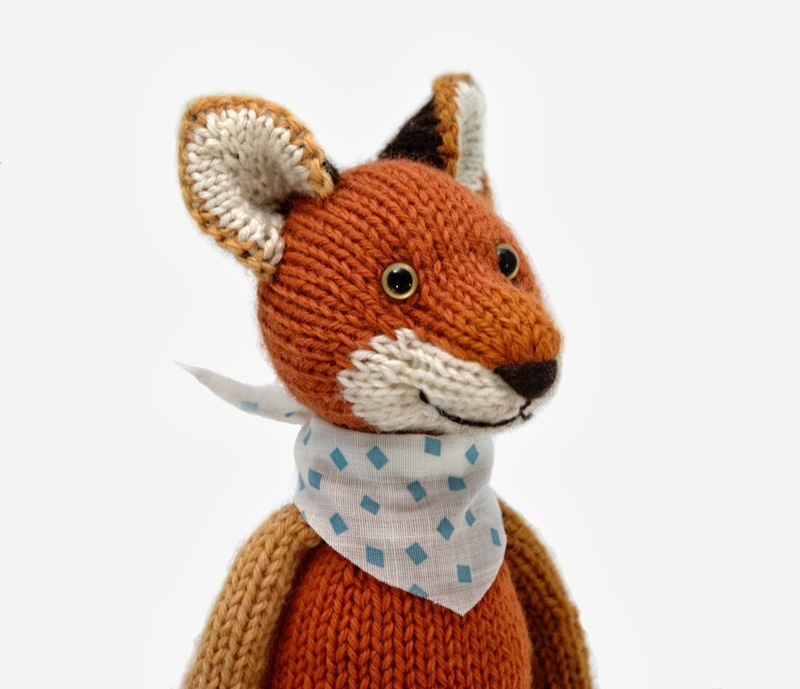 Because I knew it would be popular, I wanted to make sure the fox would be successful for anyone who knit it, so the shaping and colours had to be just right. The badger was next, and while it was a little easier than the fox, it still took me several versions before I liked the face. Maybe it was more difficult because I've never seen one, expect in photos. This is the most complicated one to knit, because of the number of different coloured sections, and the shaping required as you work them. But the rest of the pattern is quite easy, so hopefully it will balance out. 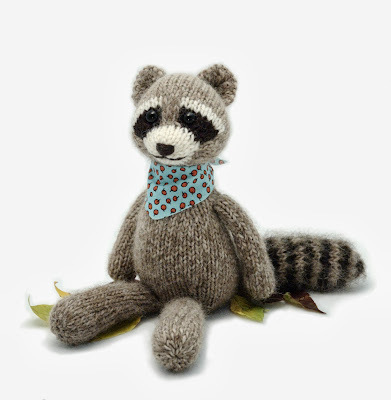 The raccoon I left to last, thinking it might be difficult too. But it worked out on the second try! I wish the eye patches could have been a little wider, but sometimes it's more important for the stitches counts and shaping to work out neatly. If I'd changed the eye patches, the shaping would have been far more complicated. Now the pattern is being test-knit and edited, and I'm hoping to take the photos tomorrow, or early next week. I can't guarantee a release date yet, but soon! I've been so busy with secret projects this year, I must be as excited as you to have a new pattern to share!